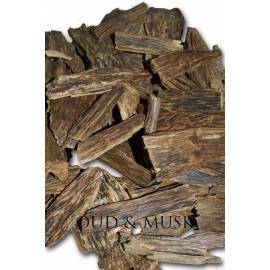 Oudandmusk is instrumental in manufacturing as well as supplying supreme quality Agarwood chips. They are famous for spicy aroma and they have that capability of leaving you enchanted. Mainly, these chips are derived from Agarwood slabs. Our company is capable of meeting bulk orders and provides timely delivery within the given timeframe. 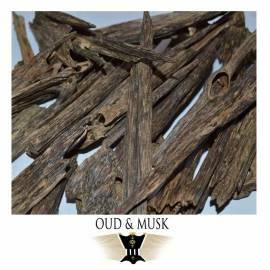 Oudandmusk is engaged in providing high quality chips which is considered to a black wood. You are going to love its aroma and oily nature. All kinds of agarwood chips are manufactured by us in different sizes such as 3 grams, 6 grams and 10 grams. However, if you want to exchange or return the product, you can do it within 14 days. Our professionals are well-versed with distillation, processing and cultivation of agarwood and this gives us a good reputation in the market. Agarwood Chips There are 13 products. A natural, resinous agarwood with warm notes. A natural, resinous agarwood with warm notes. An agarwood from India. An agarwood from India. A natural agarwood that comes from the Kalimantan region. A natural agarwood that comes from the Kalimantan region. The oudh Sumbawa is famous for its scent in Indonesia. The oudh Sumbawa is famous for its scent in Indonesia. 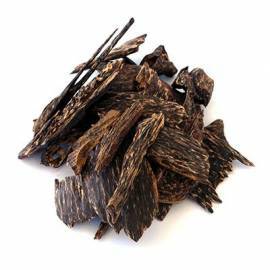 Super agarwood rich in oud oil with woody aroma and strong. 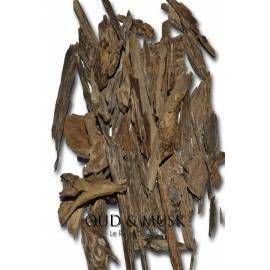 Super agarwood rich in oud oil with woody aroma and strong. An agarwood from the Trat region of thailand. An agarwood from the Trat region of thailand.